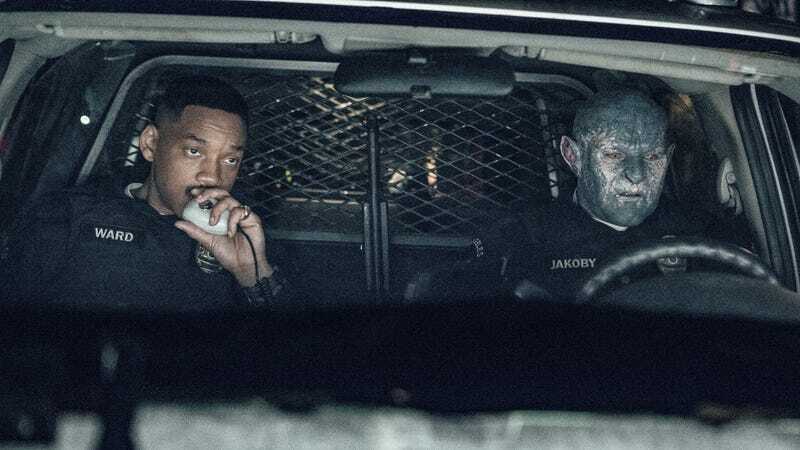 There’s a moment early into Netflix’s Bright, a cop movie that tries to blend social commentary about race with high fantasy, where Will Smith’s character beats a fairy to death with a broom while saying “fairy lives don’t matter.” Bright was not a good movie, but apparently, Netflix wants a sequel. According to The Hollywood Reporter, Netflix has greenlighted a Bright sequel, but this time around writer Max Landis won’t be attached to the project. Will Smith, Joel Edgerton, and director David Ayer are all set to return with Ayer penning the next script which...could be an improvement (though Suicide Squad’s writing would suggest otherwise). According to Nielsen, an average of 11 million U.S. Netflix users streamed Bright during its first three days of release. And this is an underestimation, since Nielsen only tracks users who watched the film through a TV, not those who streamed on a computer or mobile device. Bright’s concept makes sense on paper. Set in a fantastical Los Angeles where all manner of magical creatures like orcs, elves, and dragons live and work amongst human society, the movie wants to make observations about the city’s history of police-related racism. When the LAPD is made to admit its first orc officer (Edgerton), he and his partner (Smith) are forced to confront the organization’s issues of struck (literal) racism. But rather than actually making thoughtful observations about its subject matter, the first Bright film relied on hamfisted analogies and a generally shallow understanding of what systemic discrimination looks like. Orcs, for instance, are heavily coded as working class Latinos while elves are...fancy fey folk who practice illicit magic but are also made out to be some sort of triad. There’s no word on what Bright’s sequel might actually be about or whether it’ll keep in its predecessor’s tradition of being a blend of Crash and World of Warcraft, but we can expect a return to that whole mess of a magical word sometime in the near future.